Ask any female film director and they will tell you that they don’t want any special treatment. They don’t want attention simply for being a woman. They would far prefer to let their work speak for itself - and in an ideal world it would. Sadly, we don’t live in an ideal world. Women film directors are woefully represented on our cinema screens and a remarkable prejudice still exists around the types of stories that women can tell and the box office potential of female led films. 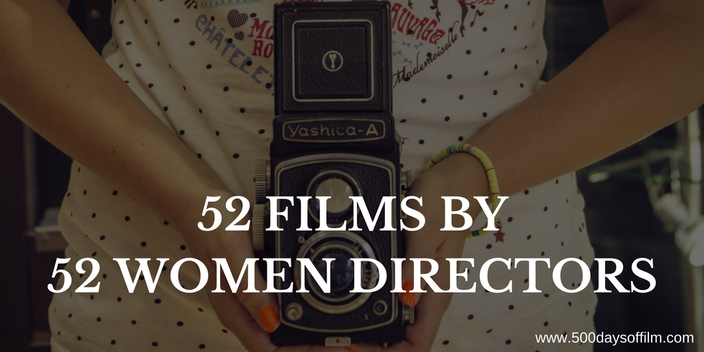 As a result, I wanted to highlight 52 fabulous female directors that I have encountered since embarking on my 500 Days Of Film Challenge. Why 52, you may ask. Well, this list was partly inspired by Women In Film’s campaign to encourage film lovers to watch a movie from a female director every week for a year. There are, of course, many more wonderful women directors. In addition, the directors featured below have made lots of other brilliant films. Perhaps consider this list as a starting point. If it introduces you to even one new filmmaker it will have more than served its purpose. Choosing just one film from these 52 fabulous filmmakers has proved rather tricky. In some cases I have cheated and added some honourable mentions (apologies if I have missed films off this list - it is a work in progress!). Film: What Happened, Miss Simone? Creating any film list is a challenging process because there are always too many films/directors and not enough slots. For example, I am aware that I have not included grandmothers of film such as Leni Riefenstahl and Alice Guy Blaché. In addition, I very much wanted to include Celine Sciamma, Chantal Akerman and Lake Bell and the work of many, many more wonderful women film directors. Who would have made your list? Do let me know by leaving me your favourite female director in the comments section below!